Exceptional quality at a fraction of the price! These brushes are perfectly suited for small hands, with big imaginations. 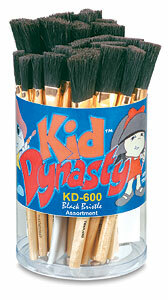 With 30 brushes to choose from, you can bring out the artist in every student.